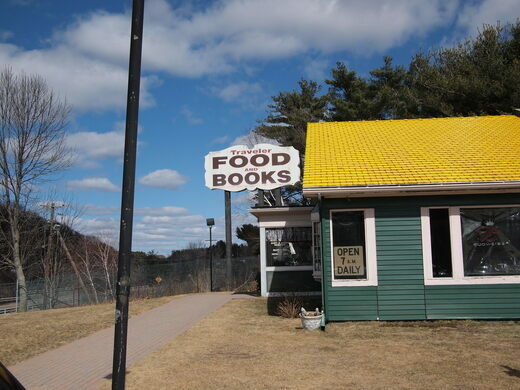 In front of this restaurant tucked on the border of Massachusetts and Connecticut there’s a sign reading “Food and Books.” And, of course, at any restaurant there’s going to be food, but be prepared for the books. With each purchase, customers are invited to take home any book in the restaurant’s impressive collection. They give away an estimated 1,000 to 2,000 books each week to hungry bookworms. The walls of the Traveler Restaurant in Union are lined with books. On the shelves edging the tables are westerns, cookbooks, pulpy paperbacks, children’s books, and romance novels. The vibe is decidedly comfortable diner meets community book sale. Owner Marty Doyle, an avid reader, started bringing books into his restaurant in the mid-1980s as a way to thin his oversized collection and find new homes for old books. Now, after finishing a meal, diners take time to wander the stacks looking for their perfect new read. Over the years, Doyle also collected a number of autographed photos from many well-known authors including John Updike and Michael Crichton, and these are also on display at the Traveler. 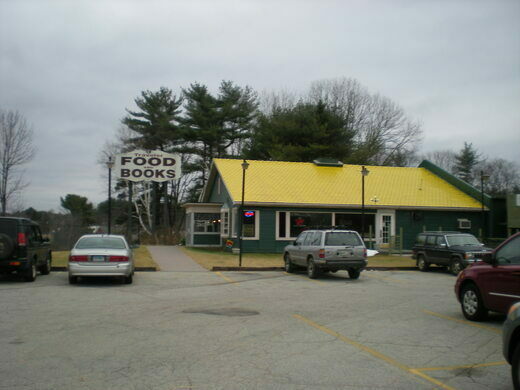 Under new ownership since 1993, the restaurant’s books are now mostly donated by area libraries and community members, and the take-home amount has been upped to three books a person. “We spend a lot of time on book runs going all over Massachusetts, Connecticut, and sometimes Rhode Island,” said owner Karen Murdock in a Hartford Courant profile of the restaurant. And if there’s a chance that after choosing some free reading material there’s a need for a few more books, head downstairs to The Book Cellar, the restaurant’s used book store. Easy access of I-84 Exit 74. Can be seen from the highway. 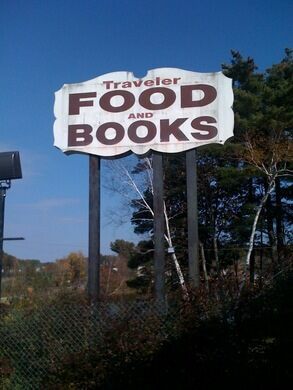 Look for the big sign that says Food and Books. A few stone foundations and an old graveyard are all that is left of this once thriving settlement in the wilds of Connecticut. Monument on the spot where in 1778, Bathsheba Spooner had her husband Joshua killed and dumped down his own well.